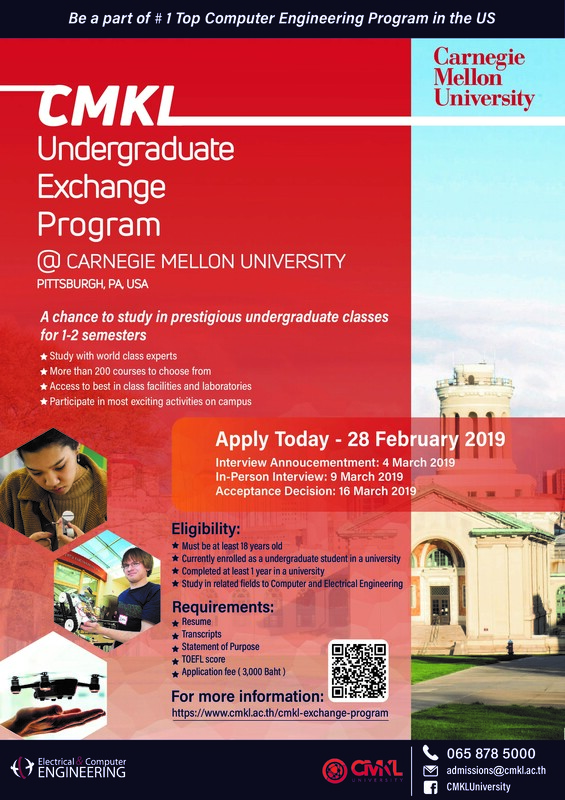 CMKL University offers the CMKL Undergraduate Exchange Program which gives you opportunities to participate in prestigious classes and activities on campus at Carnegie Mellon University, Pittsburgh, PA, USA. The program allows you, as a selected student, to join Carnegie Mellon courses available on campus. B.S. in ECE is a highly flexible degree program structured to provide students with the smallest set of constraints consistent with a rich and comprehensive view of the profession. 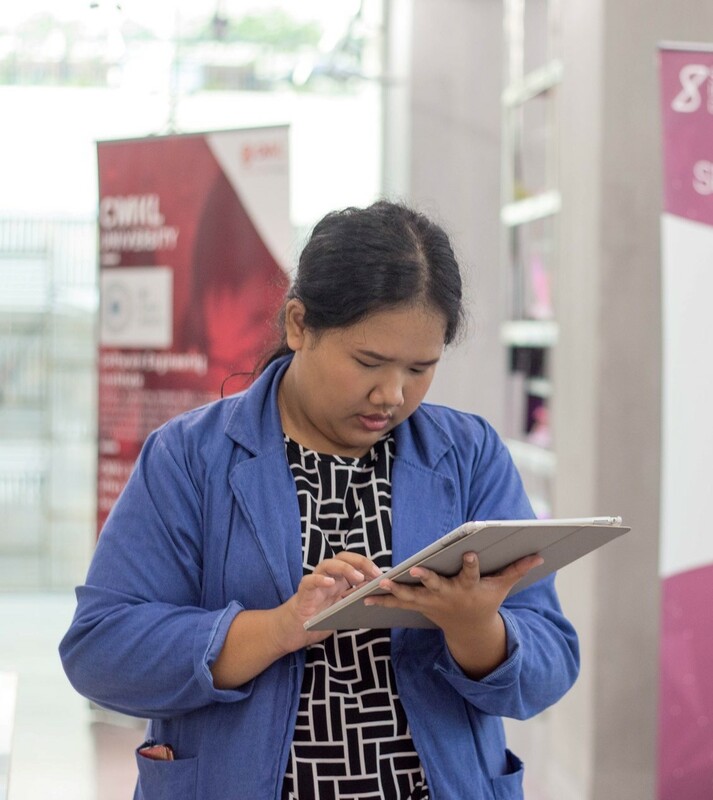 You will have access to best-in-class facilities and laboratories, and be able to participate in the most exciting activities on campus, such as student clubs, talks by renowned speakers and entrepreneurship events. You will live and learn in a geographically and academically diverse group of people during your time as an undergraduate student at Carnegie Mellon.